“I’m a detective. I know things.” Rizzoli & Isles is back with new episodes on TNT beginning February 16th. The crime procedural is currently in its sixth season. Last month, we reported that Rizzoli & Isles had been cancelled by TNT. The series will have a seventh season, but that will be its last. So far, season six is still performing well in the ratings for a cable network drama. The season is averaging around 4.35 million viewers an episode. What do you think? 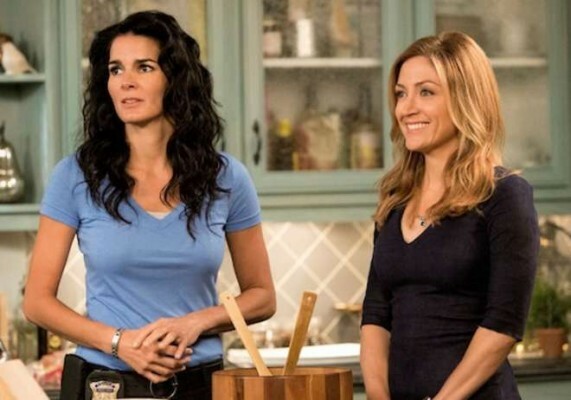 Are you a fan of Rizzoli & Isles? What do you think of season six so far? This show coming to an end is a sad day. I love this show because of the chemistry of the characters. There are so many horrible shows on the air and so few good ones. And as usual they cancel the good ones. It really stinks. Please tnt I look forward to Mondays or Rizzolli& Isles. why take off good shows when there are so many bad shows on. The cast is what makes me excited to see the next show. Please don’t cancel the show! It’s a great show but sometimes we don’t know when the new ones start! Love the whole cast and what can we do to keep the show on? Please don’t cancel this show! That would be plain stupid!